HONG KONG — September 26, 2018 — Gifto, the world’s largest blockchain-based decentralized application (dApp) ecosystem, today announced a partnership with NEM, a leading blockchain application platform. 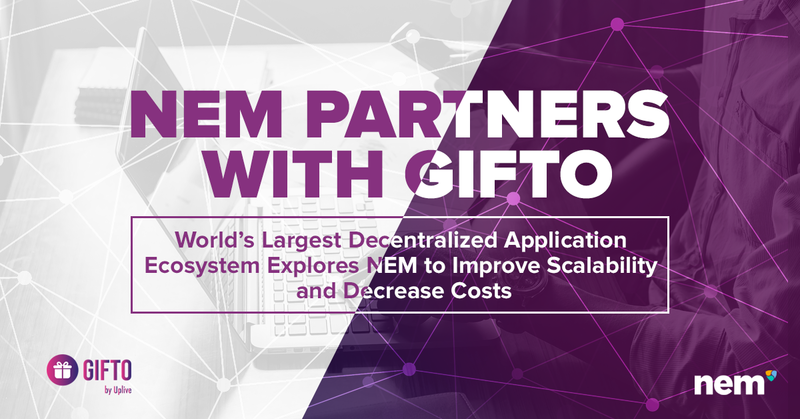 Through this partnership, Gifto will over the next several months test the NEM blockchain for improved scalability for some of its blockchain-based services, compared to its current Ethereum architecture. “Gifto is one of the few projects in the blockchain space demonstrating user growth and real utility. In order to maintain a great user experience on our platform, we are constantly evaluating new blockchain technology beyond Ethereum, and NEM has promising solutions to some of Gifto’s needs,” said Andy Tian, CEO, and Founder of Gifto and Asia Innovations Group. The NEM Foundation is endorsed by an international network compiled of a wealth of experience in IT, entrepreneurship, business processes, trading, property and asset development, international management and academia. The business’ ethos is to provide NEM’s blockchain technology platform to enhance enterprise whilst being run by the people, for the people. NEM’s team provides this through an array of support and education, from training events and service providers to technical support for the ecosystem. Gifto is the first cryptocurrency token integrated into a consumer app with tens of millions of users. With Gifto, digital content creators, gamers, and charities can send and receive customized virtual gifts across social media including Youtube, Instagram, and Facebook. 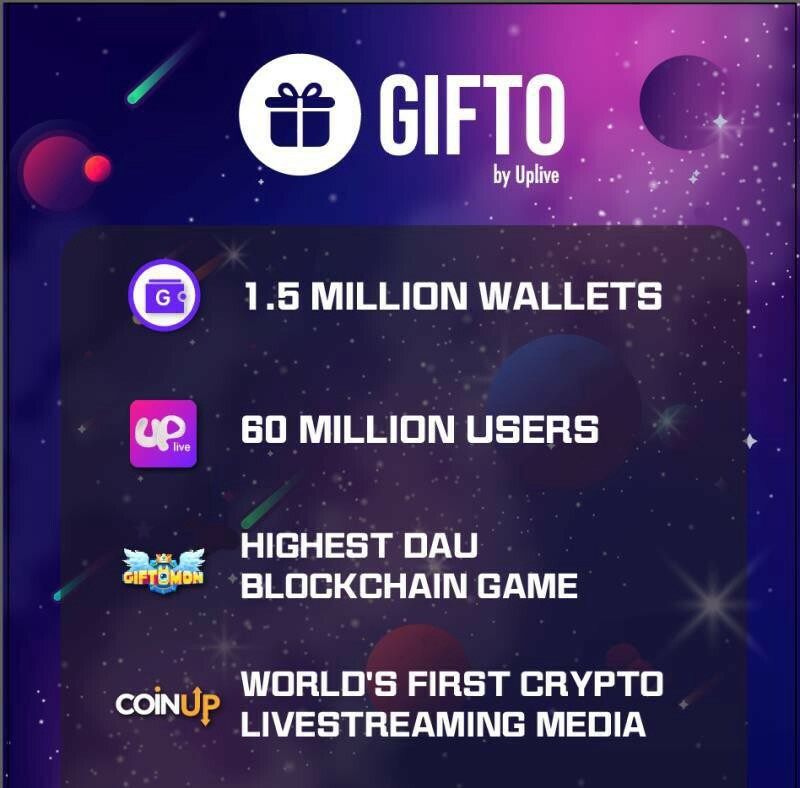 With over one million wallet holders, Gifto is the world’s largest blockchain based dapps ecosystem to date, leveraging its ecosystem products like Uplive, Giftomon, and CoinUp among others. NEM is the first Smart Asset Blockchain. World class platform for asset management. NEM is the world's first Smart Asset blockchain. World class platform for asset management.